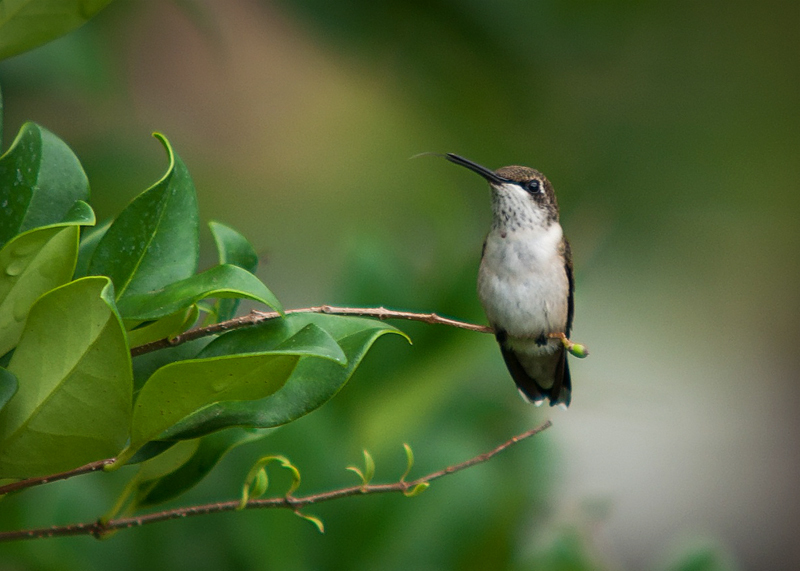 - or Ruby-Throated Hummingbird, as we all know it. Ooh, cool, I can see his tongue! you caught him sticking his tongue out... not at you I hope! Nice capture. Beautiful composition and bokeh. Fitting title. I think you let yourself down with a too slow s/s as there is blur. The tongue would have been so much better as would the overall focus. Yes, trying light, I agree. Harsh? Maybe but to be printed NG are I think very choosy, especially as they have such a huge stock library. Is that his tongue???? Might have mentioned that in the title. A rare sight. And he's sticking out his tongue! Nice. Could be a bit brighter. Proudly hosted by Sargasso Networks. Current Server Time: 04/19/2019 10:15:27 PM EDT.